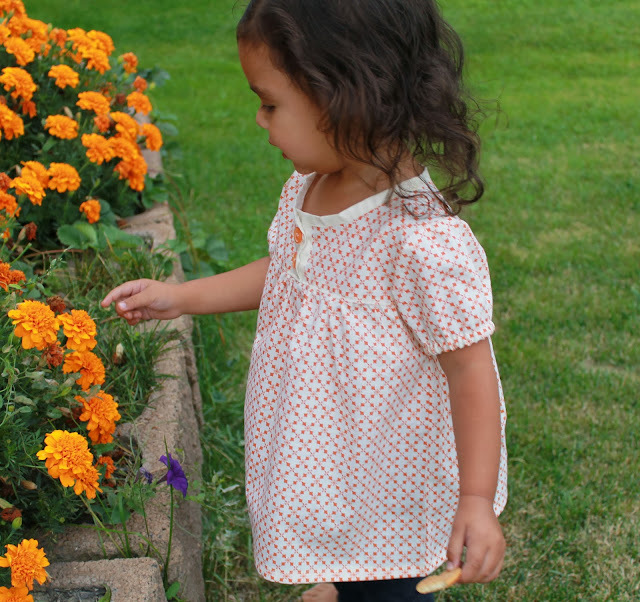 I had the pleasure of being a pattern tester for the Olivia Top/Dress Pattern from Craftiness is not Optional. This is one of my favorite blogs and was one of the first creative sewing sites I ever visited. It really inspired me to start learning how to sew. So, naturally, when I saw Jessica asking for pattern testers, I volunteered. I was so thrilled when she chose me for a size 3T. 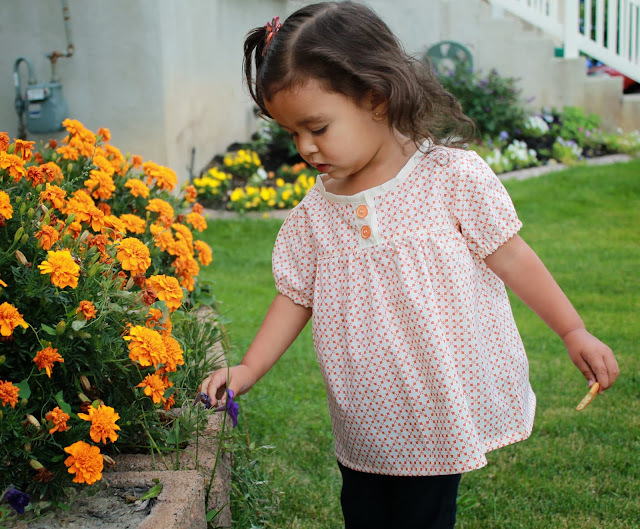 The pattern is really beginner friendly; which is perfect for a novice like myself. I did the project in about 2 hours! I decided on the top instead of the dress since my daughter’s wardrobe is lacking tops at the moment. It is so adorable! Mila and I both love it. The pattern comes with the option of having sleeves, being sleeveless, top or dress. It is also drawn out so you can do different fabric designs for the top and bottom of either the dress or top. 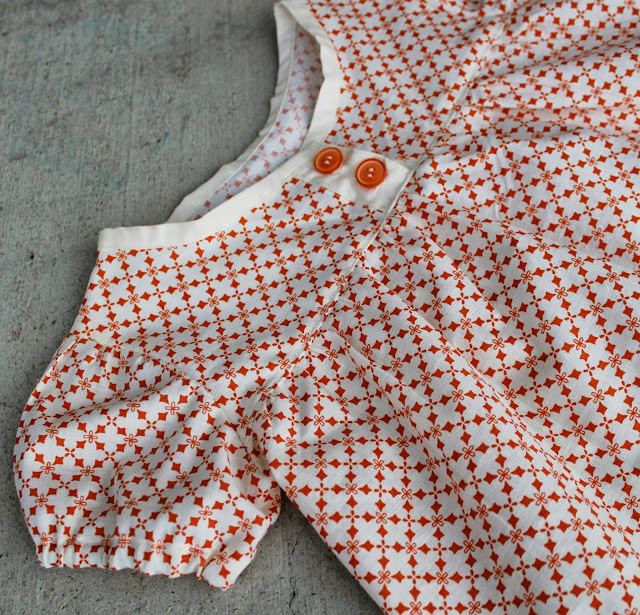 You can also coordinate with different colors for the neck binding and button placket. I really like the polished look of the neck binding.You can also top stitch in coordinating colors around the top bodice to give a complimentary look. The sleeves came out so perfectly! I am so intimidated by sleeves but these were really easy to put together. 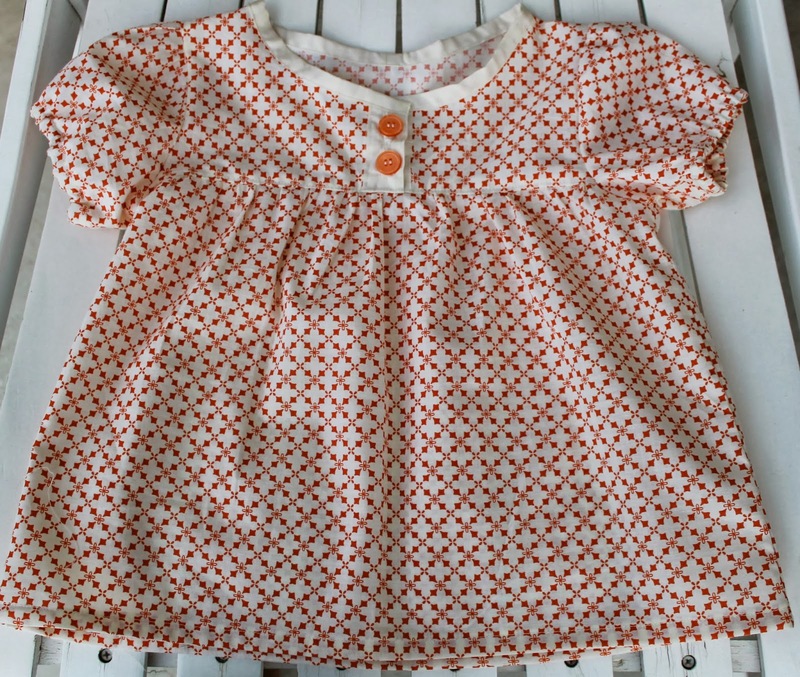 The pattern comes in all baby sizes all the way up to size 8 for little girls. I did a size 3T for Mila. She is now phasing out of 2T into 3T and though the top as slightly lose on her, the sizing was right on. I love how cute the entire outfit came out. The denim leggings really compliments the top.Oh, and don’t forget her cookie which is what I used to bribe her to standstill! The gathers all the around the middle makes it comfortable for playing and lounging. Picture perfect! Head over to Craftiness is not Optional and grab this pattern. 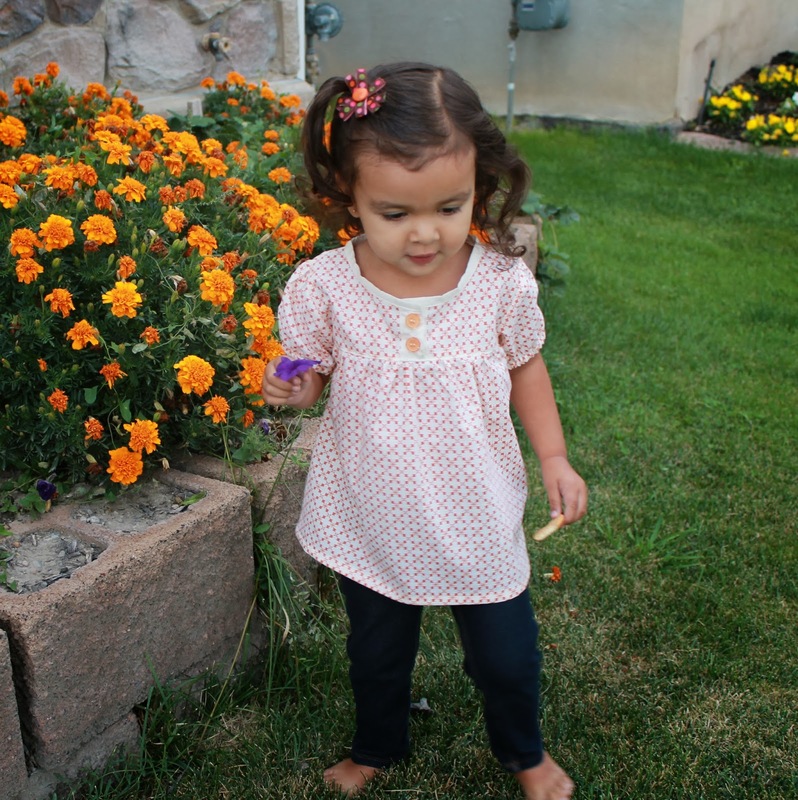 Its a must have for your little girl’s closet. I am going to make a few more tops for Mila in different colors so she can show them off at pre-school.